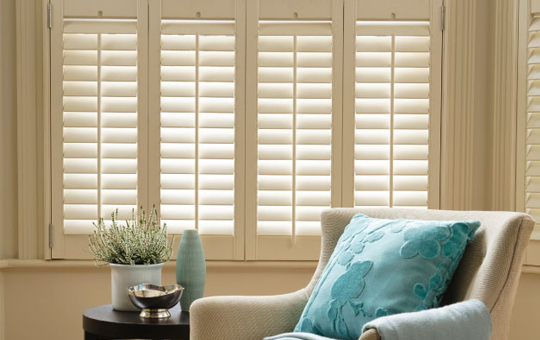 Cornwall Binds offer two distinct ranges, Vermont made from the finest solid bass wood and Nevada where the beauty of wood is emulated in our composite shutter range made from waterproof HSPVC. 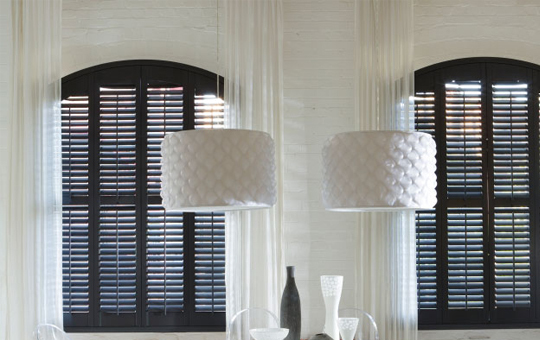 Cafe shutters allow maximum light into the room whilst still providing privacy, they can be fitted alone or with curtains to dress the window. Café shutters generally cover the lower half of the window but we can make them to sit higher up to mirror a break in the window glazing. 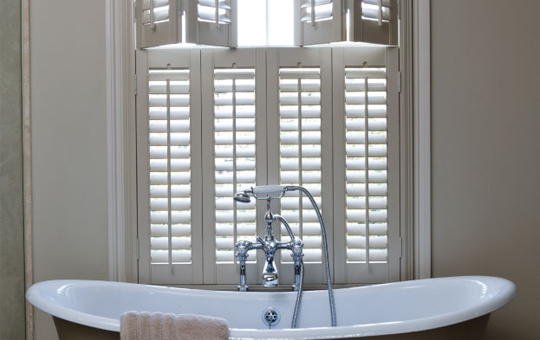 Full height shutters cover the whole window providing complete privacy and maximum light blockage when closed. We can make them with a mid rail will allow you flexibility to tilt the bottom slats to give privacy whilst opening the top section to allow light into the room a very popular option. 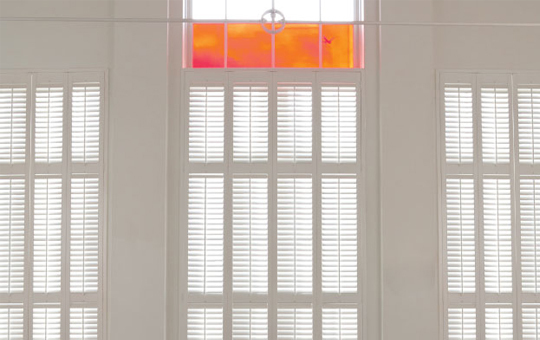 Shaped windows are a beautiful addition to any room and becoming more and more popular to ensure maximum daylight to enter a room, usually difficult to cover with blinds we offer a made to measure perfect shaped wood shutters for most shaped windows. Tier on tier provides complete coverage on the window with maximum flexibility with light control. The top tier panels are split from the lower tier panels and can be folded back to give a clear view through the window whilst keeping the room private. This design works well if you are going to fold the top panels back on a regular basis. Cornwall Blinds is Anthony & Emma Brewer, we work together from our unit in the centre of Newquay offering a friendly, reliable and professional blind fitting service with a personal touch.